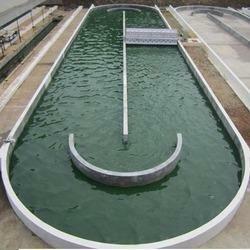 We are a renowned organization that is engaged in manufacturing and supplying premium quality Bioreactor System. Designed to perfection, our offered systems are manufactured using quality-approved material, which is sourced from the certified vendors of the market. These systems are used for cell growth their multiplication and live with optimization of heat, light, natural/forced circulation. We have achieved paramount success in manufacturing and supplying of Open pond Photo Bioreactor in the market at the present scenario. 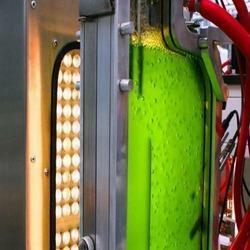 It is a bioreactor that utilizes a light source to cultivate phototrophic microorganisms. These organisms use photosynthesis to generate biomass from light and carbon dioxide and include plants, mosses, macro algae, microalgae, cyanobacteria and purple bacteria. 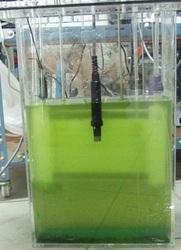 Within the artificial environment of a photo bioreactor, specific conditions are carefully controlled for respective species. 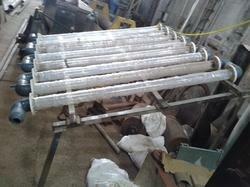 Our company is one of the renowned manufacturers and suppliers of Tubular Photo Bioreactor. 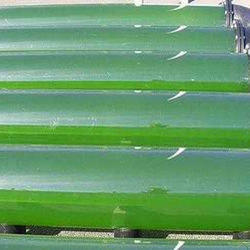 Made from glass or plastic tubes, this photo bioreactor type has succeeded within production scale. The tubes are oriented horizontally or vertically and are supplied from a central utilities installation with pump, sensors, nutrients and CO2. The biomass production can be done at a high quality level and the high biomass concentration at the end of the production allows energy efficient downstream processing. 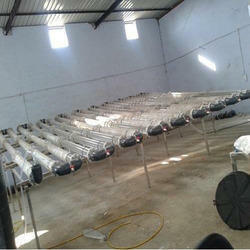 In the field of manufacturing and supplying, our company offers supreme quality Flat Bed Photo Bioreactor. Micro-organisms use photosynthesis to generate biomass from light and carbon dioxide and include plants, mosses, macro algae, microalgae, cyanobacteria and purple bacteria. Within the artificial environment of a photo bioreactor, specific conditions are carefully controlled for respective species. It is a bioreactor that utilizes a light source to cultivate phototrophic microorganisms.